If you have been working on losing weight, those extra lumps and bumps are really nothing more than a stored form of energy known to most of us as fat. What we affectionately call fat is really just a friendly term for what scientists call triglycerides. Besides being stored as body fat, triglycerides can also be found floating freely in our blood stream. As you might expect, triglycerides can wreak havoc with your health if blood levels become too high. Controlling triglycerides is an important part of protecting yourself from heart or other circulatory diseases. For people with diabetes, high triglycerides are even more risky since heart disease is 2 to 4 times more likely to occur when diabetes is present. Although prescription medications are available, the first line of treatment for high triglycerides should be a lifestyle change. Often, changes in diet and exercise can lower triglyceride levels significantly and therefore reduce one’s risk of heart disease. One of the easiest ways to make an impact on your triglycerides is to reduce your calorie intake. By following a reduced-calorie diet you reduce not only your body fat, but also your blood fats. If blood glucose levels are high, extra glucose in the blood may eventually convert into fat, therefore raising triglyceride levels. If you have been experiencing high blood glucose levels, the best way to lower your triglycerides is to get your diabetes under control. Fat is a source of fuel which is burned during exercise. Regular exercise will not only help your weight-loss efforts, but lower triglyceride levels. 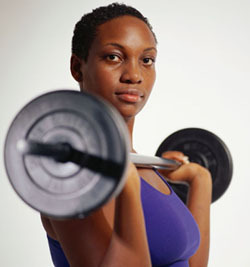 Even those who are not overweight can see the tremendous benefits exercise can have on lowering blood triglycerides. Although it may seem ironic, lowering fat intake is not the most effective way to lower triglycerides. Dietary carbohydrates have a much stronger impact on triglyceride levels. High carbohydrate diets have been shown to worsen triglyceride levels, especially when the carbohydrates consumed are sugary or refined. Moderate amounts of slower-digesting carbohydrates such as porridge, beans, vegetables, yoghurt and most fruits have been shown to lower triglycerides when compared to equal amounts of rapidly digested carbohydrates from fizzy drinks, sugary cereal, or other highly processed starches. With regard to triglycerides, attention should be placed on choosing good quality carbohydrates in moderate portions. The benefits of consuming two to three oily fish meals each week from salmon, rainbow trout, sardines, mackerel or herring are clearly beneficial for promoting a healthy heart. Oily fish contain a type of fat rarely found in other foods called omega-3 fatty acids. Omega-3s are the primary reason why fish is so good for us. Higher intakes of omega-3 fatty acids in the form of fish oil supplements have been clinically proven to lower the risk for heart disease and lower triglyceride levels. Try to include 2 portions of oily fish in your diet each week or if you don’t like fish, you can buy omega-3 supplements from any health food store. You have the power to reduce your risk of heart disease. Start today by asking your doctor about your triglyceride levels. Often, with effort and persistence, triglycerides can be lowered naturally.